The Freedom of Inflatable Kayaks. Why it better than regular kayak. HomeBoatsToGo - Blog About Inflatable Boats, Inflatable Rafts, Inflatable Kayaks And More...The Freedom of Inflatable Kayaks. Why it better than regular kayak. Most avid kayakers are used to the hard nose big kayaks that most would instantly bring to mind. These vessels have been a staple in the industry for a long time now and users were forced to deal with transportation and storage issues ever since. That all seems to be changing as inflatable kayaks gain more traction and respect among dedicated boaters. Not to state the obvious, but kayaks are a pain to transport, store and take care of. These happen to be the biggest benefits in switching to inflatable kayaks. Users are accustomed to dragging a heavy kayak out of the garage tying it to the roof of their vehicle and trying to scratch it in the process. The fact is, you can get rid of all these problems with an inflatable kayak. Inflatable Kayaks are light. They're versatile. Instead of dragging a large kayak out of your garage you can just put an inflatable in the back seat and blow it up on location. The benefits of this are tremendous. Not only are you saving storage space, but you are also saving the roof of your car. You actually save yourself this hassle twice, because when it comes time to take it home it just deflates again saving space, time and your car. You may think there are downside to the inflatable kayak, but we haven't really found any. The material of top brands like Saturn is so durable that we think they will actually last longer than traditional kayaks that can break on heavy impact. Furthermore, the 3 chamber Saturn inflatable kayaks will not sink; and yes we have heard some horror stories with traditional kayaks. 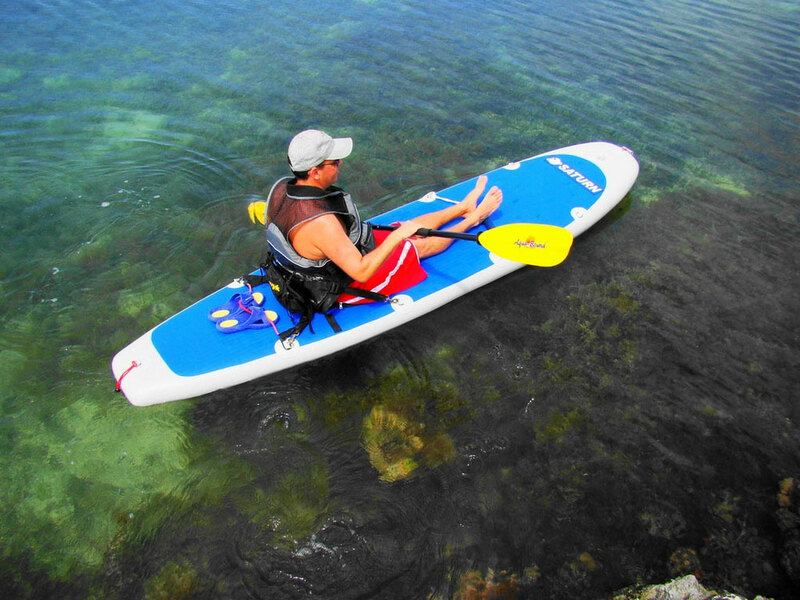 In short; Inflatable kayaks offer more freedom and versatility than traditional options and avid users are using them more and more with many additional uses. There is even this cool video of the guys from www.boatstogo.com surfing the waves in theirs. Verdict: Inflatable kayaks are the way to go to save time, space, money, your car and peace of mind.